The vineyard occupies a prominent position, in the heart of a bucolic countryside characterised by authentic villages. A trail is dedicated to it, marked by colourful markets and authentic cellars. 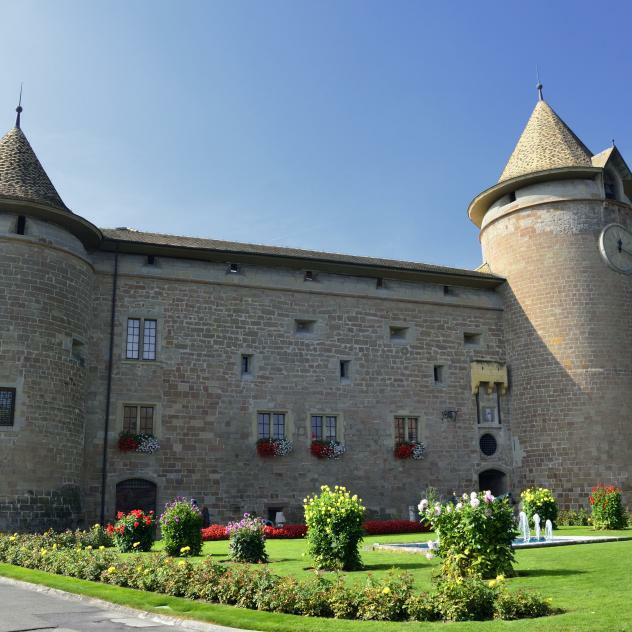 The team of Morges Region Tourisme also offers you a walk and taste trail, with several tasting stops at the winemakers of the region as well as its Wine Tasting package; in each cellar of the Morgian region, the winemaker will offer you the opportunity to taste 6 wines for CHF 15.-. Free tasting when you purchase 6 bottles. Floriane Besse offers you wine tasting, introduction course, wine-cheese (or sushi) match. She organizes different demonstrations in her beautiful cellar in Féchy, at home ou at your work place. You will travel in the world of wine. The village of Allaman enjoys an exceptional setting that is enhanced by ancient buildings. The owners of Château Rochefort fulfil a triple mission: give travellers a warm welcome, invite them to discover the beauty of the surrounding vineyards and enhance every event or seminar they attend.